The Australian Capital Territory (ACT) Government has called for Expressions of Interest (EOI) for the delivery and operation of the Capital Metro light rail project. 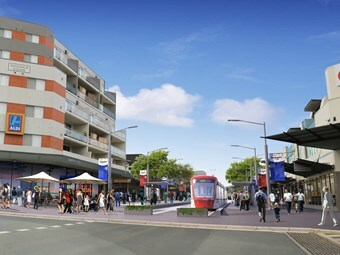 The Capital Metro project provides a unique opportunity to shape Australia’s capital city and enhance the sustainability of Canberra, according to an invitation issued by the organisation. It says the project will showcase excellence and innovation whilst utilising proven technology, and successful applicants will partner with the territory in the first stage of light rail within the ACT. About 350 delegates turned out at Canberra’s National Convention Centre for an industry briefing to mark the start of a light rail, as previously reported by ABC magazine. The project is expected to stimulate economic growth along its corridor, and aid mobility in tandem with feeder bus services and cycling to the 12 km line. The invitation for EOI is now available through the Capital Metro website and registrations of interest are due by November 17. The closing date for submission of EOIs is December 19. The shortlist of successful bidders is expected to be announced in March 2015.